If you believe that weaknesses in the management of some sports organisations are holding sport back from achieving its potential as a force for good then I Trust Sport is for you. I Trust Sport works with federations, sponsors, institutions, other bodies and individuals on projects to bring about genuine change. I Trust Sport works with institutions, government agencies and individual sports bodies to design and implement governance assessment tools. With extensive experience of working on assessment systems at national and international level, we can help you develop a process which is credible, objective, practical to implement and reflects current best practice. By working through the indicators with I Trust Sport, federations and governing bodies can carry out a governance audit of the organisation and identify areas for improvement. I Trust Sport can also conduct independent audits using other governance assessment systems, and develop appropriate recommendations. I Trust Sport provides good practice guidance on governance to federations, governing bodies, other sports organisations and individuals with an interest in the governance of sport. I Trust Sport collaborates with institutions, NGOs and other organisations on research and development projects in the general field of sports governance. I Trust Sport is working with leading mediation chambers In Place of Strife to provide an international sports industry mediation service. Whether it be resolution of a commercial dispute, moderation of differences in the workplace, unhappy employees or governance or succession issues we can offer highly experienced and effective mediators who can assist in bringing parties together, facilitating productive negotiation and finding a solution acceptable to all parties. The structure depends on the specific issue but the spirit, aims and methods are often similar. The mediator will work with all parties, in an informal environment, exploring a dispute impartially, taking into account everyone’s objectives, suggesting ways in which the gaps can be bridged and assisting and providing momentum to a negotiation. He/she does not dictate settlement terms and will not disclose unauthorised information either between parties or with any third party. Indeed, even the existence of the mediation is kept confidential. Mediation is a voluntary process - the parties themselves are always in control. If a resolution is reached - and 85% of the time it is - the mediator will work to produce a binding legal agreement or a Memorandum of Understanding on which one may be based. In the alternative, the mediator will identify points of difference and agreement as a basis for any further negotiation or action. Whatever the nature of the dispute, we can assist the parties in agreeing a format for the mediation, whether it be over the course of a day or over several sessions. We will supply you with detailed guidance on how the process will work, what to expect and how best to prepare. In addition, we can provide ongoing support to assist in avoiding future disputes or help in identifying the warning signs of such. I Trust Sport helps support sports governance in federations and governing bodies in a collaborative way. Now that public scrutiny is more intense than ever before and funding for sport is under increasing pressure, it is essential for federations and governing bodies to ensure that they are operating as effectively and efficiently as possible. I Trust Sport provides support to institutions at national and international level and to government agencies which have responsibility for overseeing the sports sector. Now that public scrutiny is more intense than ever before and funding for sport is under increasing pressure, the organisations which fund and supervise the sector need to be able to monitor governance and to intervene appropriately, when necessary. 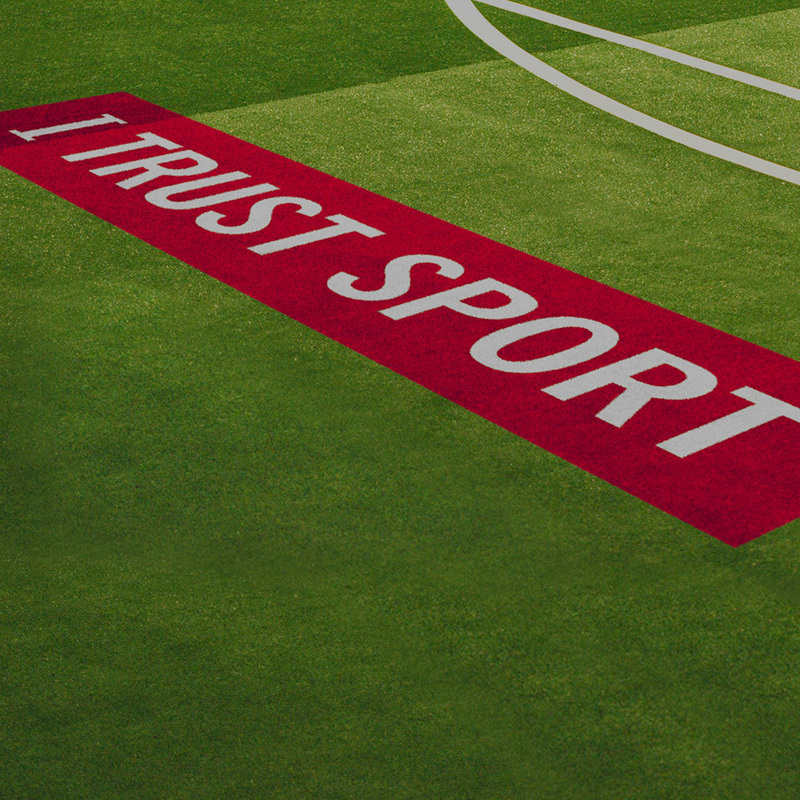 I Trust Sport advises sponsors and commercial partners in sport on how to have a meaningful and responsible influence on the organisations they support, recognising that there may be reputational and business risks involved. I Trust Sport collaborates with the growing body of NGOs and academic institutions which seek to influence the field of sports governance. I Trust Sport works with individuals who have a particular interest in sports governance.